Professore ordinario (tenured full professor) of European Union Law at the University of Genoa, where he also teaches Law of the Sea, he is a partner at Studio Legale Afferni Crispo & C.
Graduated from the Faculty of Law of the University of Genoa in 1997, he has obtained a Master’s Degree (LL.M. International Business Law) from the University of London in 1999 and a Master’s Degree (LL.M. International Legal Studies) from Georgetown University of Washington, DC in 2000 as a Fulbright fellow. He has been granted a Ph.D. in International Law from the University of Milan (Statale) in 2004. 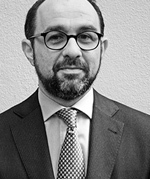 He is frequently invited as a speaker at national and international scientific conferences and has published widely in the area of international and European environmental law, European Union institutional law, international and European transport law, law of the sea and private international law. He is a member of the board of Italian Flight Safety Agency by appointment of the Italian Prime Minister Paolo Gentiloni. Prof. Kirchner is Founding Director of the Institute for the Law of the Sea and International Marine Environmental Law (ISRIM) and managing director of the Hugo Grotius gGmbH – non-profit and independent society for the advancement of legal sciences in Bremen, Germany. He is professor of international law at the University of Applied Sciences in Bremerhaven since 2007, where he is teaching in the programmes “Maritime Technologies” and “Integrated Safety and Security Management” since 2005. He is a visiting fellow at the International Maritime Law Institute (IMLI), Malta. Prof. Kirchner is specialised in public international law, with a special focus on the law of the sea and international marine environmental law since 1997. After his studies in the Master’s Programme at the University of Stockholm, he served as research intern at the International Maritime Organization (IMO) in London, at the United Nations Environment Program (UNEP) in Nairobi and at the International Tribunal for the Law of the Sea (ITLOS) in Hamburg. Prof. Dr. Iris Kirchner-Freis, LL.M. Prof. Kirchner-Freis is Director of the Institute for the Law of the Sea and International Marine Environmental Law (ISRIM) and managing director of the Hugo Grotius gGmbH – non-profit and independent society for the advancement of legal sciences in Bremen, Germany. She is a professor at the University of Bremen. 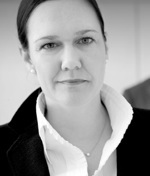 Moreover, she is managing director of the law firm MLS LEGAL GmbH – Rechtsanwalts- und Fachanwaltsgesellschaft in Bremen/Berlin. She is attorney-at-law since 2001 as well as certified lawyer in copyright and media law and certified lawyer in intellectual property law. 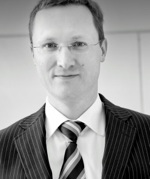 Prof. Dr. Kirchner-Freis is practicing EU law since 1997. After her studies in the Master’s Programme at the Europa-Institute of Saarland University, she worked in several European States as lawyer and legal counsel. Please note that the list of speakers is subject to amendments until confirmed as final. Fifth Edition of EULoS (Genoa, 26 August – 6 September 2019): Applications Welcome! Fourth Edition of EULoS (Genoa, 27 August – 7 September 2018): Applications Welcome!